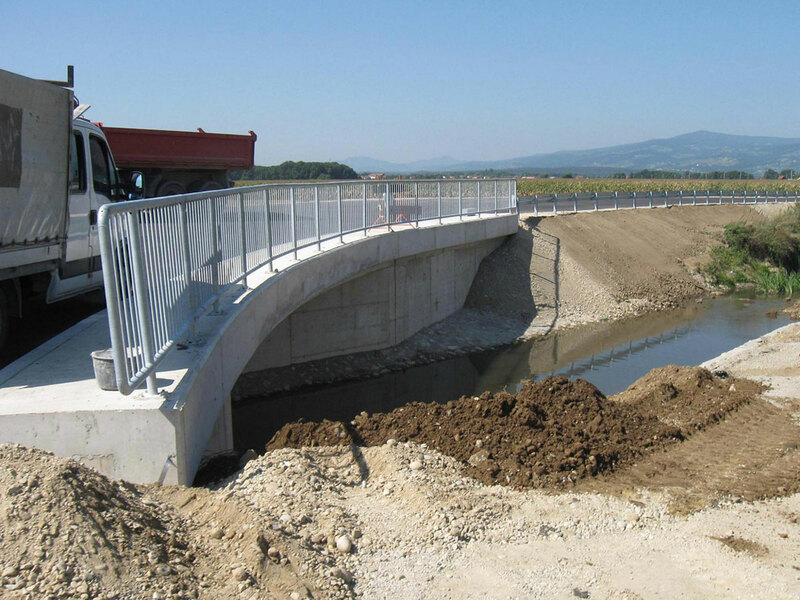 The bridge over the Črnec stream was built in the framework of the project Development of Crossing of Roads with the Railway at Section Pragersko–Hodoš in the framework of electrification and renovation of the railroad line. 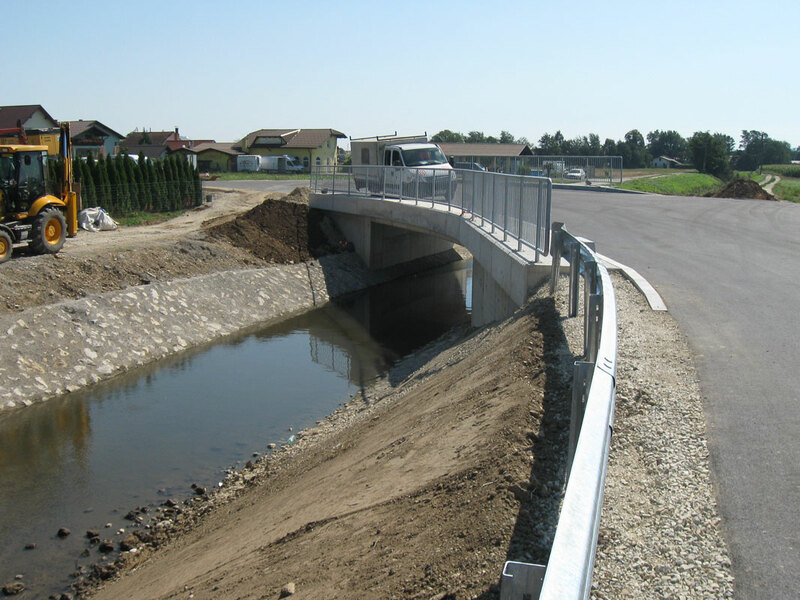 The bridge is meant to cross the Črnec stream on the new local road Pongrce. 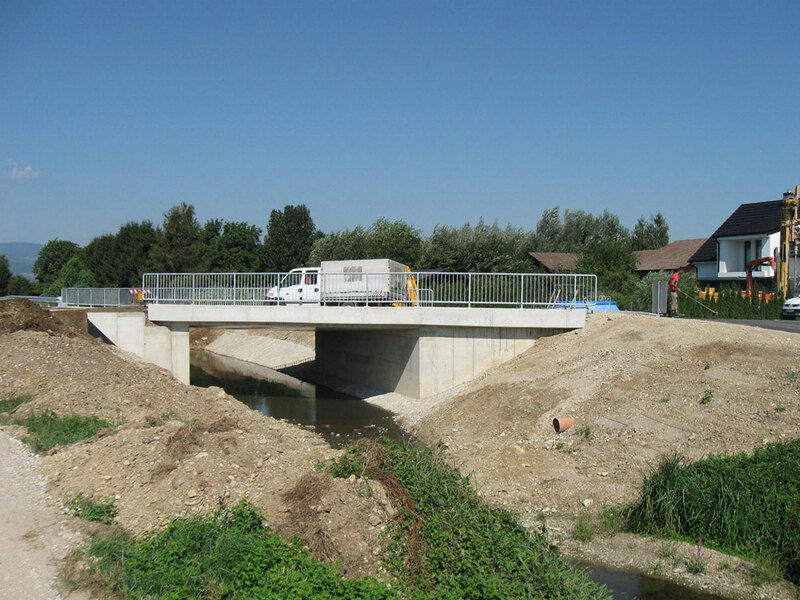 The structure is conceived as an aslant integral reinforced-concrete bridge structure consisting of a classic reinforced-concrete bridge structure over a field of a length of 7.0 m. The bridge structure is fastened into two edge abutments with wings. 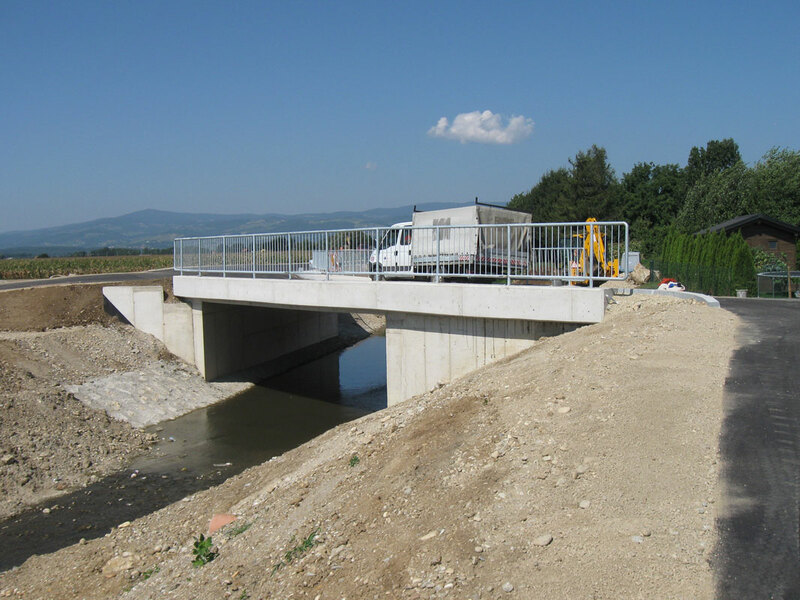 The total length of the bridge between the axes of edge abutments amounts to 7.6 m, the total length of the structure is 8.2 m. The bridge has a width of 10.0 m. Foundation of edge abutments is carried out as deep foundation on drilled-in reinforced-concrete piles of a length of 10 m.
In the framework of the same project, project documents for a similar project “Bridge over the Sejanca Stream” on the local road Trgovišče 11 (km 0+537.25) was prepared. 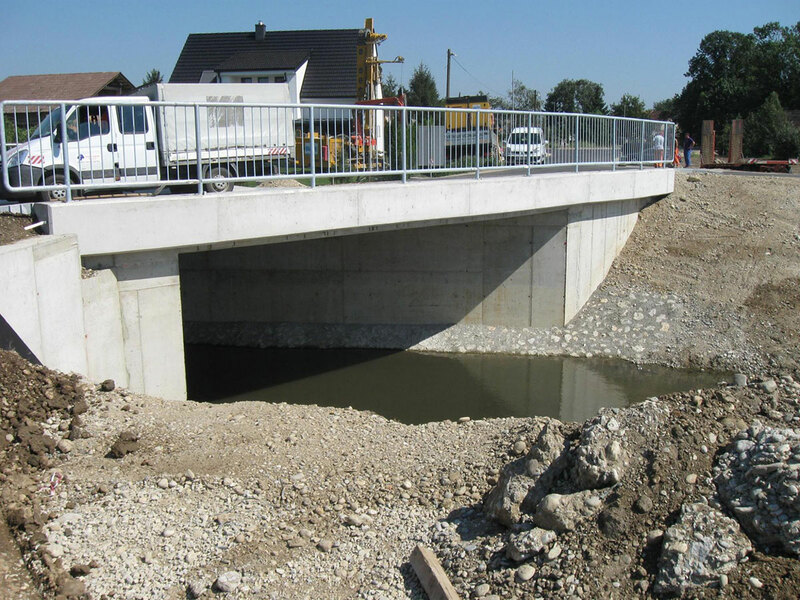 The length of one field is 8.6 m, the total length between the axes of edge abutments amounts to 9.3 m, the total length of the bridge is 10.0 m, while the width amounts to 5.5 m. This bridge has foundations on drilled-in reinforced-concrete piles of a length of 9.5 m.